To access the Account settings for your BuzzStream click on the settings link on the right of BuzzStream. ***Only the BuzzStream Account Owner can access the Account Settings. Click the "Account" tab at the end of the settings menu. 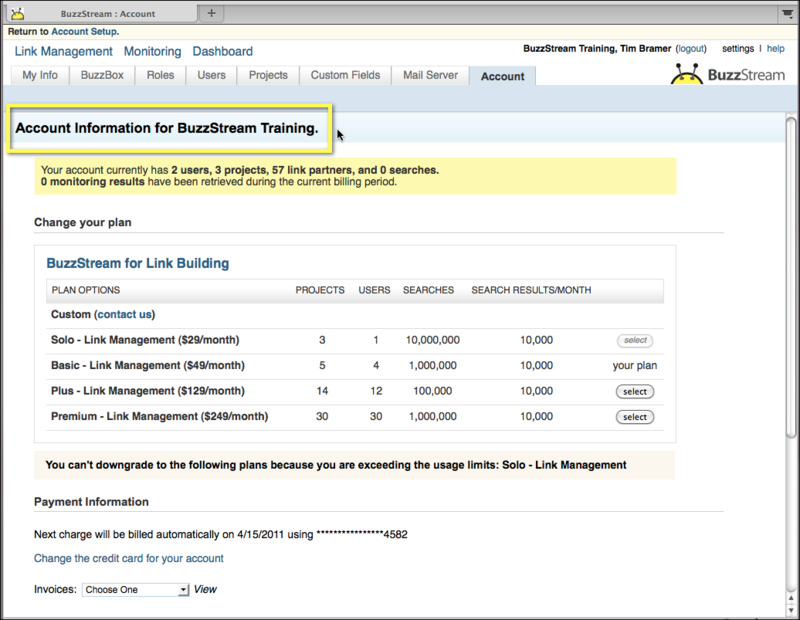 In the "Account" tab you have access to the overall settings for your BuzzStream account. You can: Change Your Plan, Change your Payment Information, Access Your Invoices, Change the Account Owner, and Cancel Your Account.